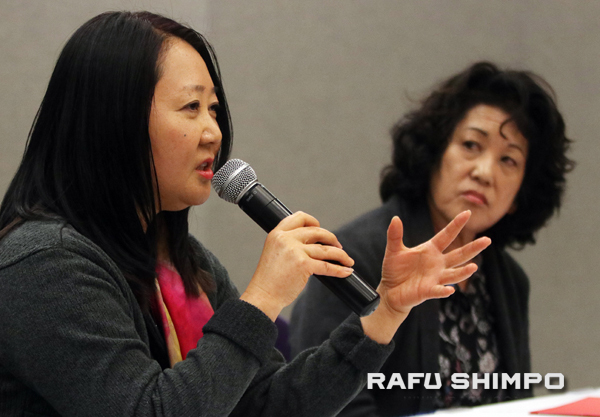 “Rebel with a Cause,” a documentary about the late researcher and community activist Aiko Herzig Yoshinaga, was screened last Saturday at the Katy Geissert Civic Center Library in Torrance. The film tells the life story of a Nisei who played an instrumental role in the Japanese American redress campaign of the 1980s. Her research contributed to the report of the Commission on Wartime Relocation and Internment of Civilians; the coram nobis cases of Fred Korematsu, Gordon Hirabayashi and Minoru Yasui; and the class-action lawsuit filed by the National Council for Japanese American Redress. 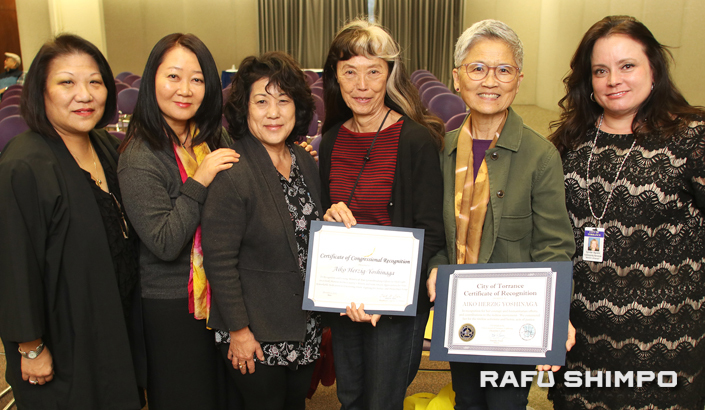 Pictured above, from left: Kathryn Endo-Roberts, Arts Council of Torrance; Martha Nakagawa, who appears in the film and helped process Herzig Yoshinaga’s papers at UCLA; filmmaker Janice Tanaka; Herzig Yoshinaga’s daughters, Gerrie Lani Miyazaki and Lisa Abe Furutani; and Cynthia Aguado, senior librarian. The screening was followed by a discussion with Tanaka and Nakagawa. 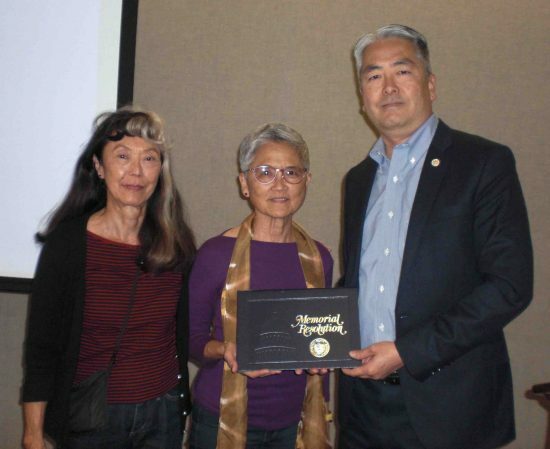 The daughters were presented with proclamations by Assemblymember Al Muratsuchi, City Councilmember George Chen on behalf of Mayor Pat Furey, and Aurelia Friedman, field representative for Rep. Ted Lieu. Proclamations from Los Angeles County Supervisor Janice Hahn and State Sen. Steven Bradford were also presented.